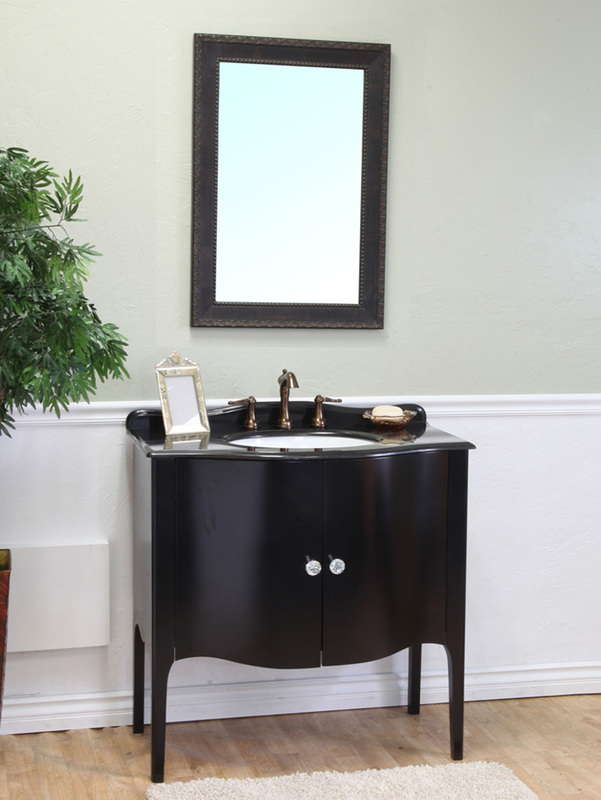 The Thetford Single Vanity will add class to any traditional style bathroom with its flowing curves, elegant finish, tapered legs. 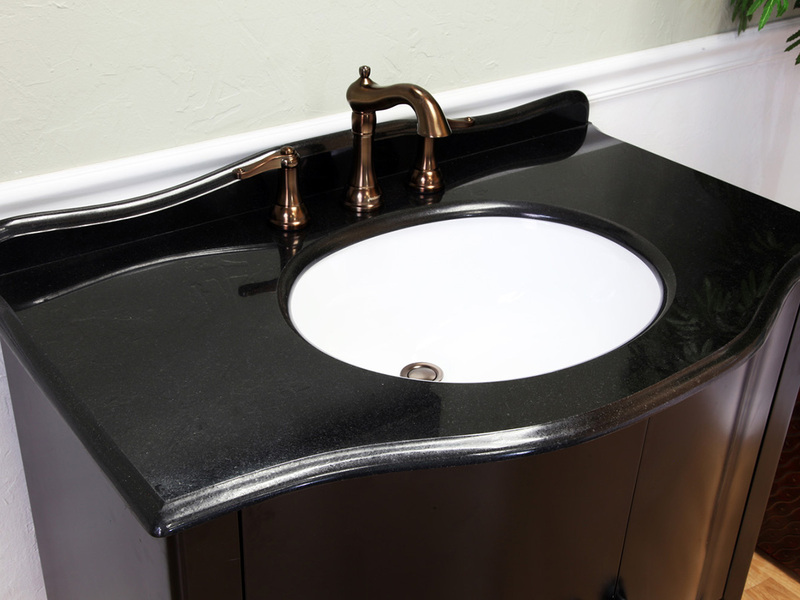 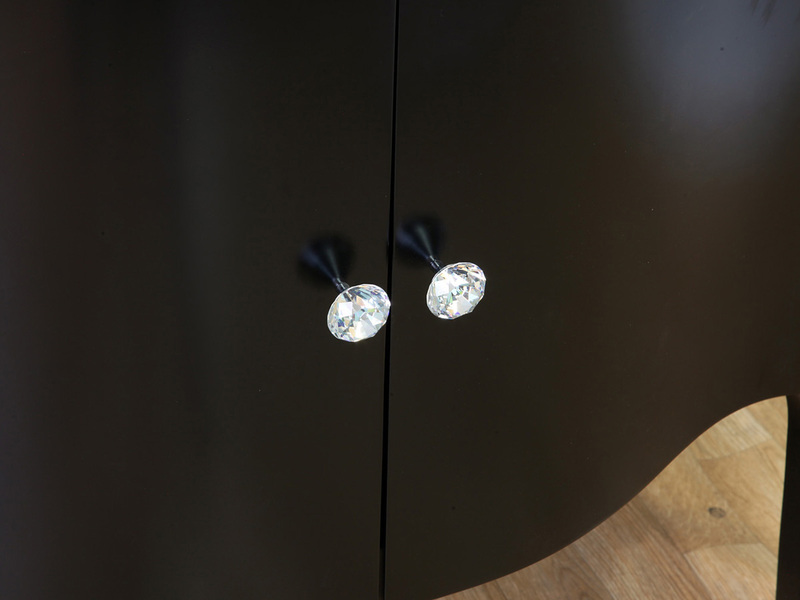 The cabinet doors feature crystal door knobs, and the counter top is made of polished black granite, both of which enhance the vanity's already luxurious look and feel. 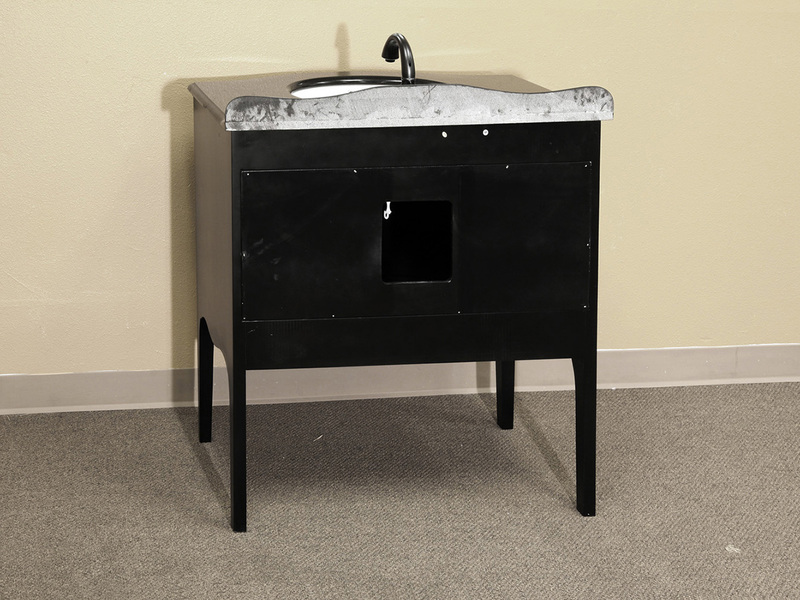 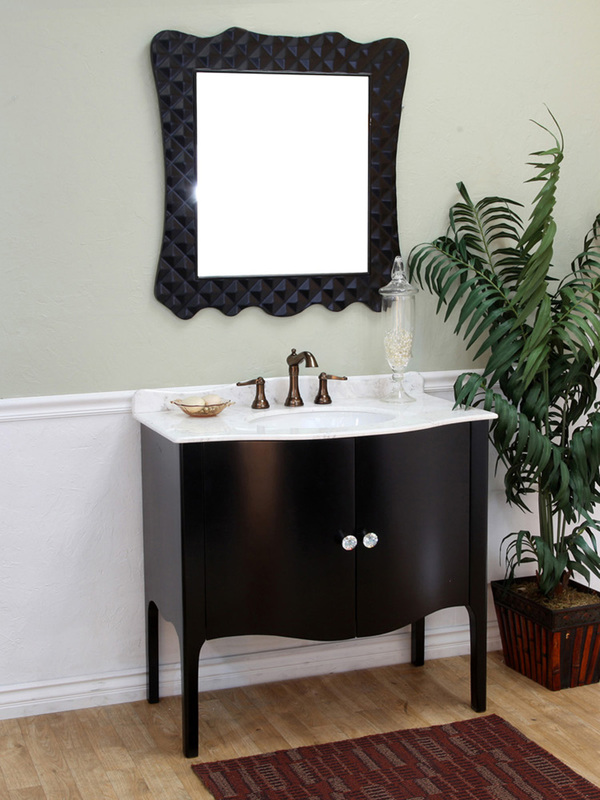 Beyond its looks, the vanity is constructed from solid birch wood and coated in a water proof black finish to prevent warping or damage. 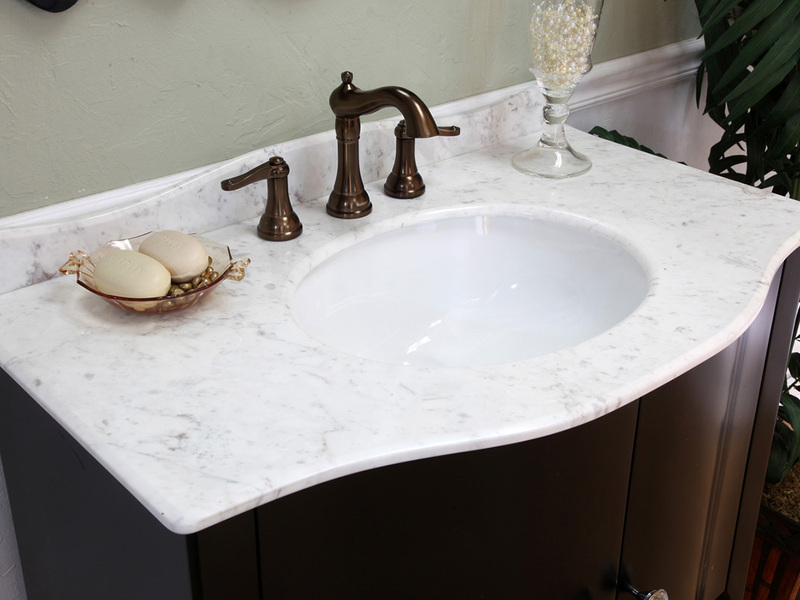 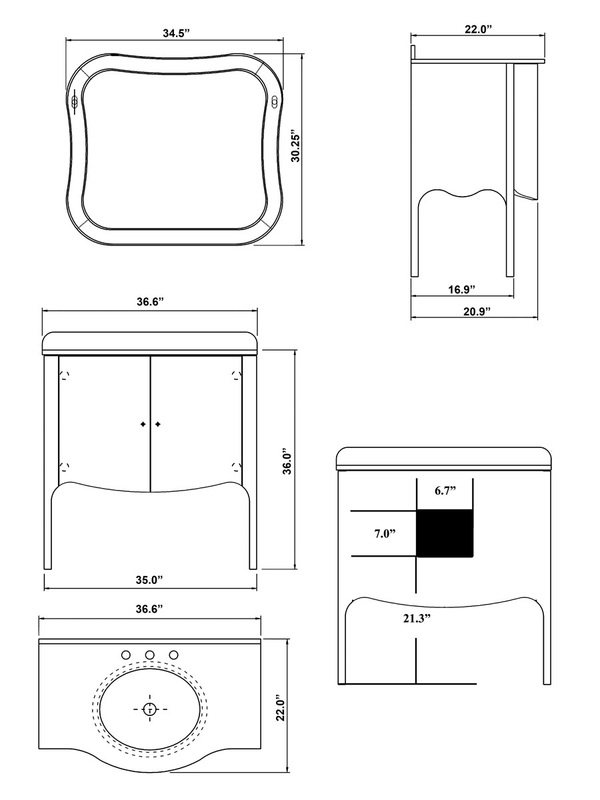 For your convenience, the cabinet below the sink provides lots of storage space for your bathroom accessories. 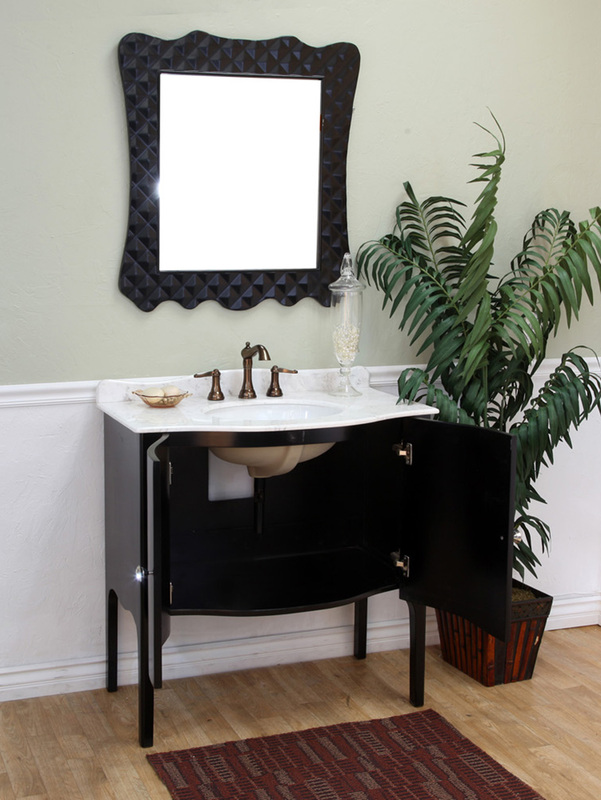 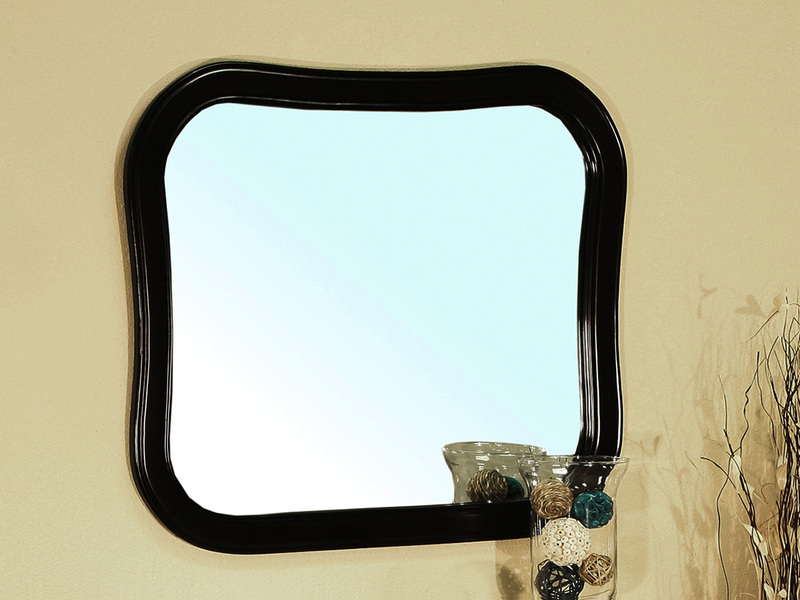 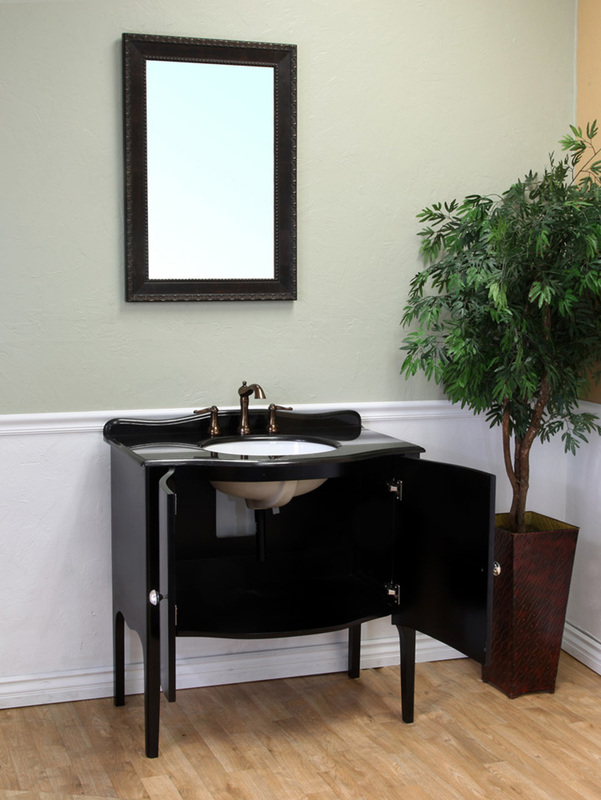 A matching framed mirror is also available to complete this elegant vanity's look.